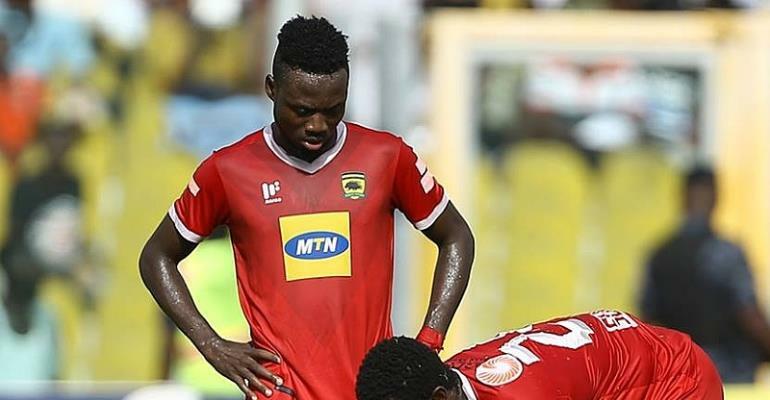 Asante Kotoko defender, Eric Donkor has expressed his frustrations after his out failed to progress to next round of the CAF Confederation Cup. The Porcupine Warriors failed to protect their 1:0 lead in the first league held at the Baba Yara Sports Stadium. CARA defeated the Reds 1:0 in regulation time in the second league in Congo on Wednesday to send the match to penalty kick out. However, the Congolese club defeated Asante Kotoko 7-6 penalty which saw the Porcupine Warriors crashing out of the competition. And Donkor who did not last the entire duration of the game was not impressed with the outcome of the game. Tne FA Cup champions have failed to progress to the next round of the CAF inter club football for the last three edition.